The museum is located in the historical ‘Riding Stables’ in the southern Cavaliers’ Building of Nymphenburg Palace. It was the grandest of the various stables and was also closest to the palace. This representative stable building was already largely complete under Max Emanuel. The most valuable horses were formerly kept here during the summer months. In the winter the princely horses and carriages were accommodated in the main stables and coach house on Marstallplatz near the Munich Residence. The first museum was set up here as long ago as 1923 in the former court riding school. During the Second World War, the collection was transferred to Nymphenburg Palace and after the destruction of the extensive Marstall complex in the centre of Munich, the present museum was opened in 1952. With over forty representative coaches, sleighs and riding accoutrements that belonged to the Wittelsbachs, the museum documents three hundred years of princely coach building and travel and riding culture. With its rich collection, this museum is one of the most important of its kind in the world. The showpiece has long been the Coronation Coach of Emperor Karl VII, one of the most beautiful coaches in the French Rococo style. 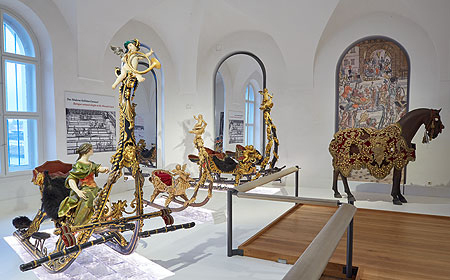 The 19th-century state vehicles of King Ludwig II are the high point of the many Wittelsbach gala coaches and sleighs on display. Magnificent harnesses, fine riding accoutrements and historical pictures bring the travel and representational culture of the court to life. 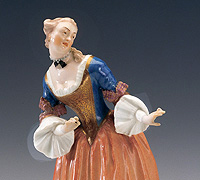 A unique private collection of Nymphenburg porcelain from the 18th to the 20th centuries is on display on the upper floor of the Museum in the former royal stables (Marstallmuseum). In 1747, Max III Joseph founded the electoral porcelain factory. 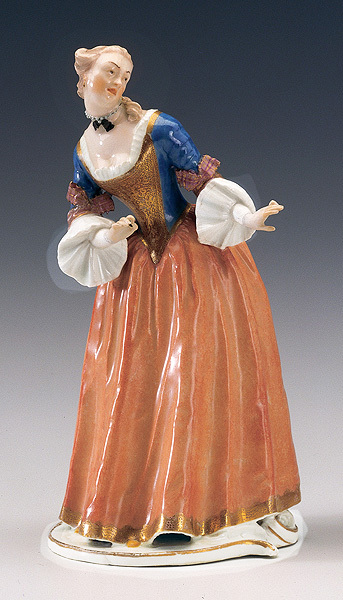 The engagement of Franz Anton Bustelli as a porcelain modeller was a stroke of luck for the new manufactory. His lively, expressive figures once decorated the court dessert table. In the early 19th century, King Ludwig I took an interest in porcelain art and founded the ‘Royal Art Institute’ near the Art Academy in order to train porcelain painters academically. A further highpoint is the Jugendstil collection of porcelain with its innovative forms and decoration. The collection was founded by Albert Bäuml, who had taken over the manufactory in 1888. To improve the artistic quality, he collected Nymphenburg porcelain so that new moulds could be made from it. In 1912, his oldest son took over from him. The collection, which also includes porcelain in the possession of the Bavarian Palace Department, is still being extended by the family out of private means.